Mexico just won the football match against France in the World Cup and to celebrate we’ll give away 2 Cancun vacations! So, what do you have to do? Easy! A) LIKE this post and (if you are a Twitter user) RETWEET this post! C) Go to the bottom of this post and paste your story as a comment. Name and email are obligatory. You have until TUESDAY, JUNE 22nd to post your comments! D) Congratulations! You are now in the raffle to win 5 days and 4 nights in CANCUN*. The raffle for the 2 prizes will take place AFTER the match of MEXICO – URUGUAY on Tuesday, June 22nd. So, let loose your imagination and come to visit us in paradise this summer! I would love to be a WINNER in the YUCATAN HOLIDAYS , Cancun vacation giveaway. My GOAL in life is to live it to the fullest, & Cancun, MEXICO is the best place I know to do it! Good Luck to Mexico in the WORLD CUP! WoOoOoHoOoOo, CaNcUn!!! Que Bueno! France makes great queso but not great goals. 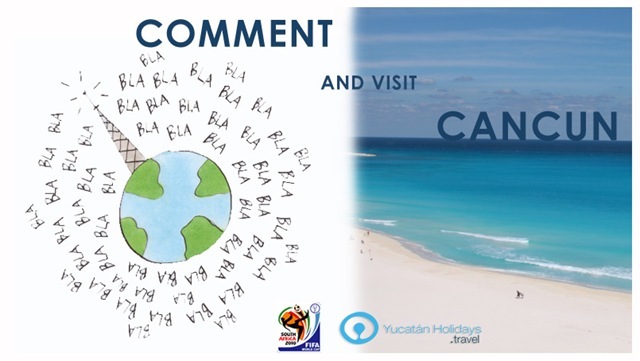 Yucatan Holidays scored a World Cup Goal when they awarded a trip to beautiful Mexico. May the winner be one such as I who loves Southern Mexico, queso and goals! World Cup fever is electrifying the air here in Mexico… Game on! Yesterday…pulled not one goal but two over France to be declared the winner! and I’m ready to continue celebrating with ‘Yucatan Holiday’s adventure in Cancun…bring it on! Viva Mexico! I would love to win a trip from “YUCATAN HOLIDAYS”. My GOAL in life is to live it the the fullest. If I achieve this I am definitely a WINNER. I don’t know that I will ever have the opportunity to visit FRANCE but, I’d rather visit MEXICO anyway. Please pick me and make my dreams come true! Mexico holds a special place in my heart. I will never forget November 2004 spending my 20th wedding anniversary in Cancun. I hear Yucatan Holidays offers great deals, especially since Mexico beat France in the World Cup 2010! It is my goal to spend my 26th wedding anniversary in Mexico & create more everlasting memories in such a majestical place with the most beautiful people in the world! The Riviera Maya is my families favorite vacation destination. We will be in Mexico during the World Cup this year, and were there during the games in 2006, too! Because Yucatan Holidays encouraged all of their facebook fans to cheer for Mexico, they were able to send the French crying back to France! I absolutely love yucatan holidays, especially hanging loose on the beaches of playa del carmen. My goal is to get back there as soon as possible, which will hopefully be as the winner of this contest!! GO MEXICO! Our family’s Goal is to travel to Mexico at least once a year! My mother is from Mexico & I love to study Yucatan history. There is no better way to get the best travel deals than by using Yucatan Holidays! Goal! In recent World Cup play, Mexico beat France by a score of 2-0 leaving Mexico needing only a draw in its next game to advance to the next round. 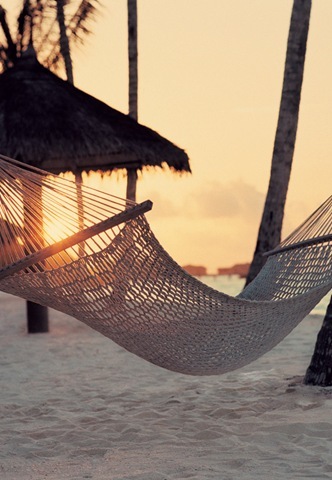 In celebration of such success, Yucatan Holidays is giving away two trips to Cancun! Check it out here (http://bit.ly/d9m0Eo) and get ready to cheer Mexico to victory on Tuesday! 1)Javier Aguirre has strategically brought our young superstar Javier “Chicharito’ Hernandez off the bench at just the right time. Mexico has scored all three goals with him on the field. Like the great Luis Hernandez before him, he will be the difference. 2)In 1930, France handed Mexico a 4 – 1 LOSS to start an unfortunate drought that has lasted for 80 years. Our 2 – 0 WIN vs. France this year is not coincidence, it’s destiny. I’m thirsting for the Cup and a dip in the azure Caribbean Sea…PLEASE pick me for 5 days of Yucatan Holidays! Well I am glad Mexico beat France in the match. I would love to celebrate in style in Mexico and if I won a trip to Cancun from YUCATAN HOLIDAYS I would be thrilled!! !I love to snorkel and taste the Mexican cuisine. Watching the World Cup from the Mexico City zocálo has been really exciting, but what better way to celebrate Team Mexico in the 2010 World Cup than with a vacation to Cancun courtesy of Yucatan Holidays. Last Thursday’s win against France was spectacular. Here’s to an equally impressive showing tomorrow when Mexico takes on Uruguay. VIVA MEXICO! Viva El Tri and Viva Chicharito! Beat Uruguay today and send me on a Yucatan Holiday!